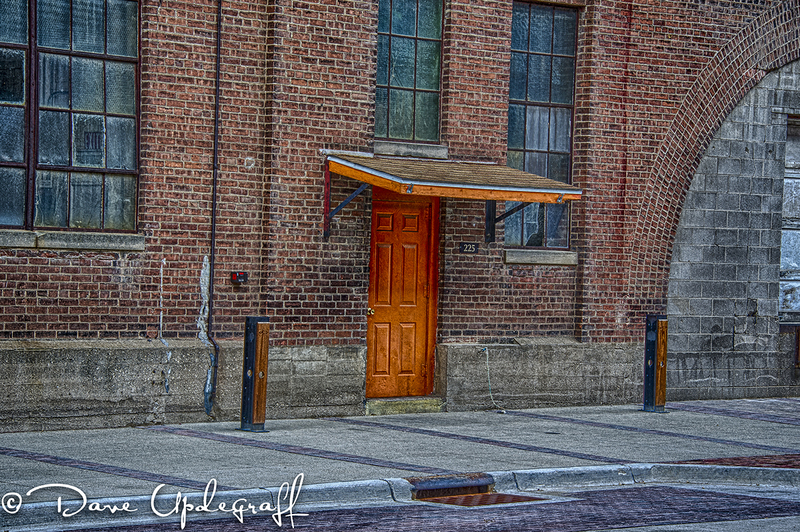 I want to show you some more of the Millwork District today. 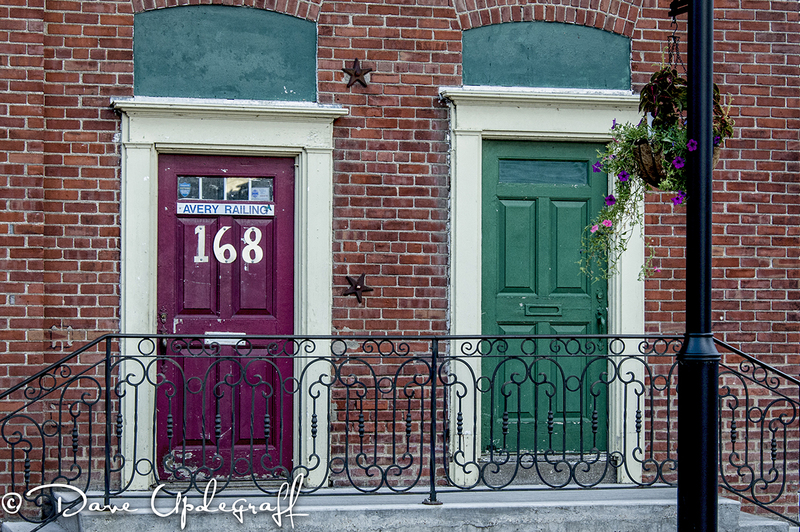 I had every intention of converting these to black and white but I liked the vibrant coloration of the bricks and trim so much that I decided to leave them in color. I did try them both ways but I have to admit as much as I do love black and white I just felt more comfortable with these in color. The above image is another 7 image HDR capture. We were rapidly running out of day light when I captured this image and it just didn’t do the brick work justice so I decided to do an HDR capture. There are a lot of creative art work displays scattered around the project. This is one of my favorites. When this project is completed I believe there will be around 80 – 90 up scale apartments / condos available, professional office space and there will also be retail shops in the building. Some very visionary people have invested a lot of money, resources, and energy in this project and I am hopeful that it will be successful. I’m going to continue to follow the progress of this project. I hope to shoot a lot more images there and when some of the interior is completed I’ll attempt to get some shots of that as well. That’s it for today. Thanks for stopping by. Enjoy your Tuesday and be careful. I suggested to Jeanne that it would be fun to get some Dairy Queen treats and go over to Angie and Ben’s to watch Hillbilly Hand Fishing. Now before you begin to think I’ve wigged out let me explain. There is a very nice lady that works for one of our banks and a few weeks ago she applied to appear on the show and was accepted. She couldn’t tell us much about the experience until after it aired, which was last night. Anyway she and her son-in-law were flown down to Oklahoma to go hand fishing in the river complete with Cottonmouth snakes, assortment of bugs and big ole catfish that bite. She said it was the most fun she has ever had in her life. They filmed 42 hours of fishing to produce 48 minutes of television. The very first image is one of my favorites. 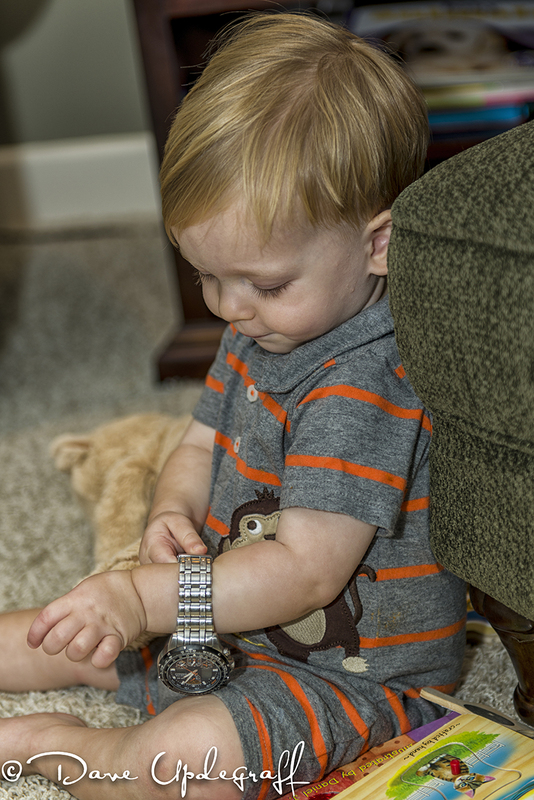 He love to play with Grandpa’s watch. Almost every time I’m around him I have to take off my watch and let him play with it. There is one button he can push that make the watch light up with a red light. He will do it over an over again. Thanks for stopping by. Enjoy your Monday and be careful. Thank you for stopping by. 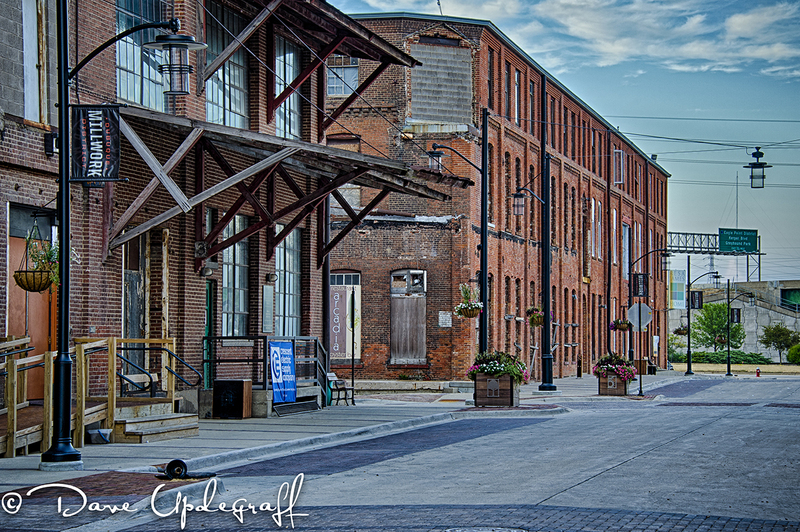 Yesterday evening Jeanne and I went down to the Warehouse District in Dubuque. 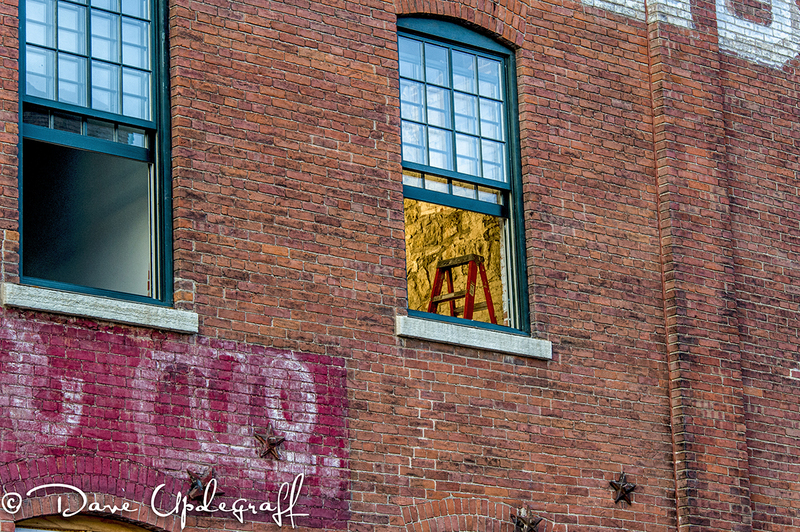 There is a huge renovation and revitalization project going on there and some really neat old buildings are finding new life. My hope was to catch the buildings in the golden hour with warm sunlight on the buildings. Unfortunately there was some cloud cover so no “killer light” was available. The image above is a 7 shot HDR image of a section of the warehouse project that is completed and occupied by a business. We saw a concept design of what the project will look like when it is completed. It will be amazing. We were losing the light rapidly and since I managed to drop my tripod (thank God not the camera) after the first HDR and busted a couple of the controls I was left with hand holding the camera for the rest of my shooting. I had to bump the ISO up as I lost light eventually ending up at ISO 1600. 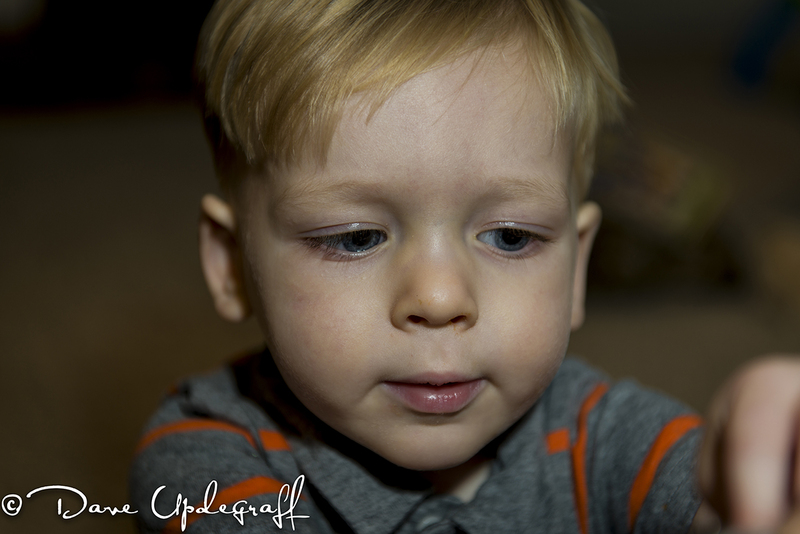 One of the many neat things about the D3S is it has amazing low light shooting capabilities. I shot this image at ISO 1600 and could find no “grain” in the image. I told her we were beginning to wonder if we were going to have a waitress and she said “Well I’m here now.” Not in a in-your-face way just stating a fact. From that point on it was a wonderful dinning experience (mainly because of the pizza balls.) I had the lobster ravioli, a salad of weeds and two glasses of a red wine that was wonderful but I don’t remember the name of it. It was a very enjoyable evening with my bride. Got some interesting images to share with you later on. Enjoy your Sunday. Rest and relax because it all starts all over again tomorrow. Be careful. Happy Saturday. Today I complete a project. It is my second 52 week project that I have completed. It has been enjoyable and it is fun to look back over the last two years one week at a time through the images I have captured. 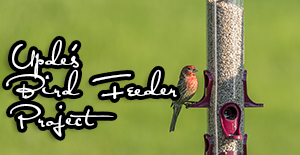 If you are interested you can click here to see the completed project. I have a whole week to decide if I’m going to do my 3rd 52 week project. I can tell you that, at least for the time being I am really enjoying my 365 project. It is making me look at my environment much differently. One thing that has changed is what I now look for in an image. Before if I hadn’t got to shoot on my lunch break and I was tired at the end of the day I might just drive home and not think about photography at all. Yesterday evening I took an alternative road to Asbury. I’ve taken this road 20 – 30 times in the last year but never found anything I wanted to shoot. 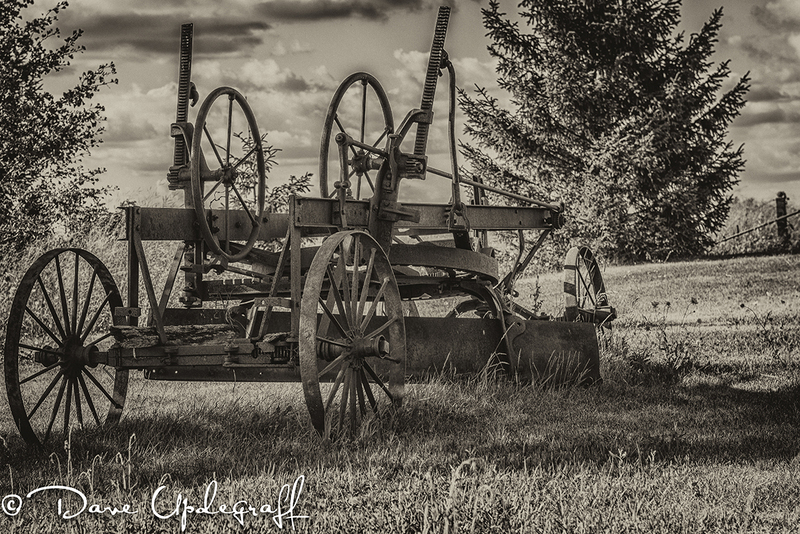 Last night however I went by a farm-house with this old road grader parked near an old barn. Now I’m willing to bet the road grader has been there for a long time but I just never paid any attention to it. 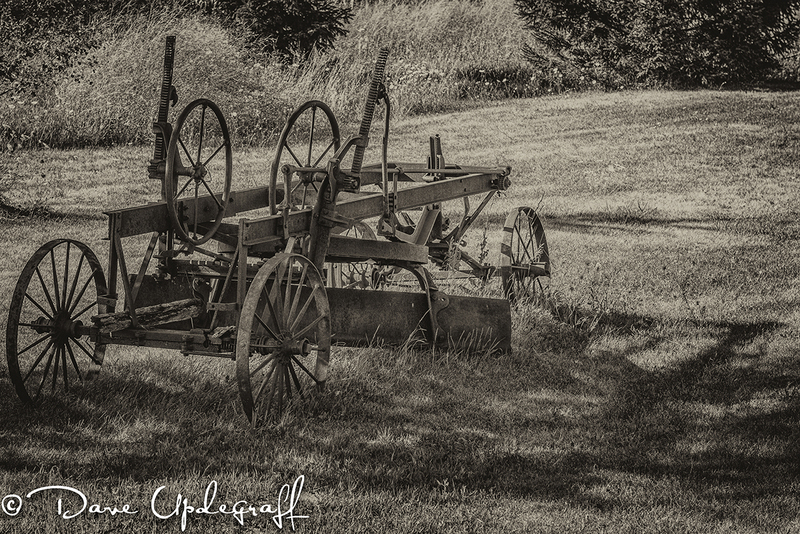 I spent a fair amount of time shooting this grader. Because of its location it was hard to get angels that didn’t have a lot of background clutter. 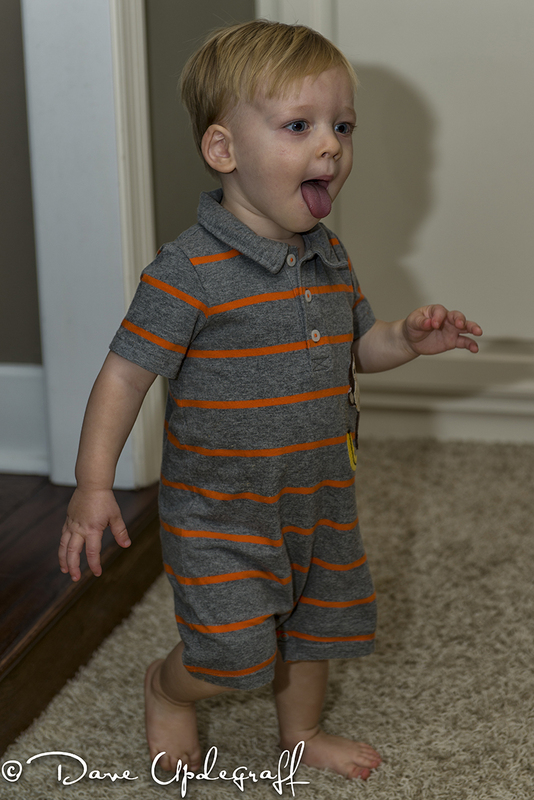 One of the things I’ve learned about shooting the D800 is that it is not as easy to remove background clutter as with a smaller megapixel file. Anyway Jeanne and I are going on a photo shoot this evening and then have dinner at Crust. The last time I ate there was the night Joshua was born. 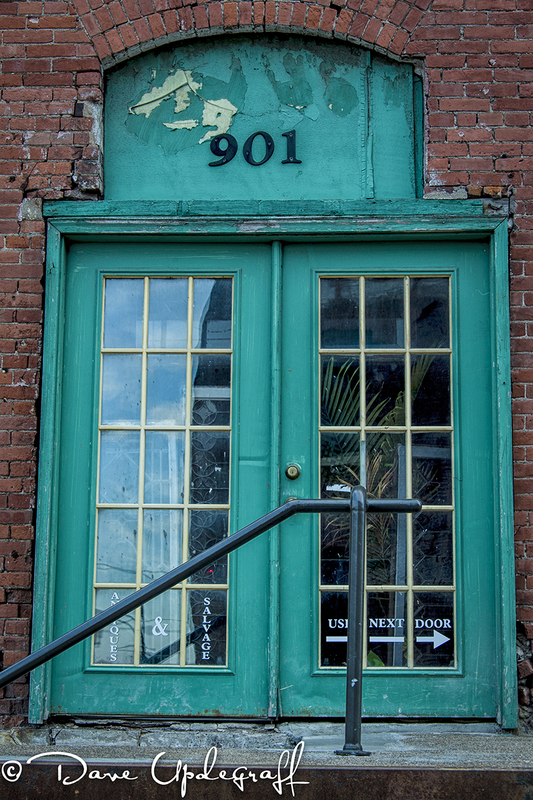 I want to shoot some more images of the old Warehouse District. So it should be an enjoyable evening. I hope you enjoy your Saturday. 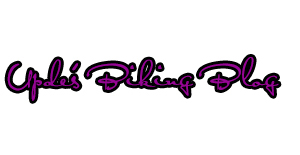 Thank you for checking out the blog and be careful. After work yesterday I noticed some wonderful clouds in the southern sky and I wanted to find a scene that would allow me to include those clouds in the image. 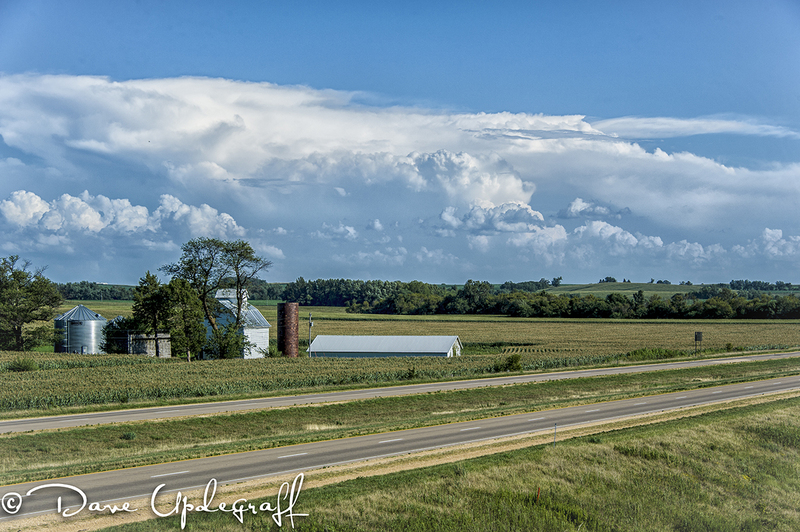 I drove around for several minutes and decided to shoot this from the over pass on highway 61 South. Photographs are everywhere you care to look. Once I shot the farm scene (first image) I notice the moon. 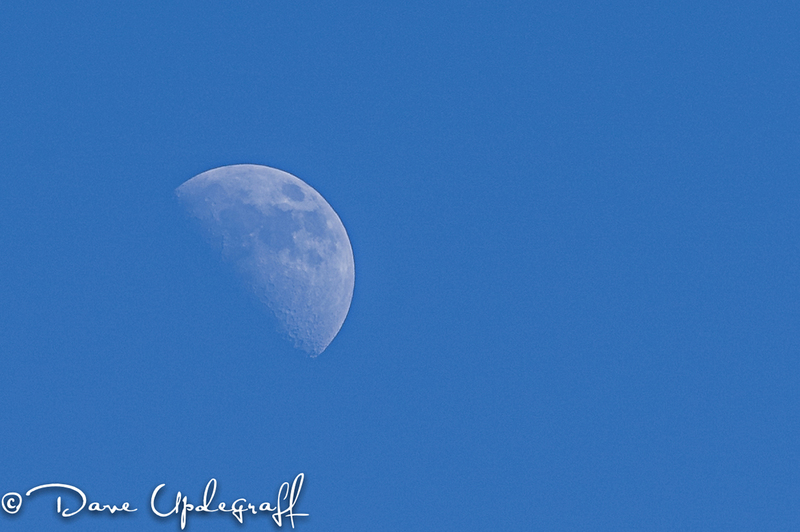 I didn’t take the big lens out and set up the tripod I just used the 28 – 300 mm lens and shot this image. In many of the photography books I’ve read and on-line lessons I have taken one of the key rules is to shoot a scene from a perspective that the viewer does not normally see the subject. So instead of shooting down on a flower, shoot it at eye level or from below the flower looking up. That becomes increasingly difficult when (in my case) there is a high laziness factor, and a lot of my shooting is before or after work when I have a suit on, which is not conducive to crawling around on the ground. So many times the image I take is what you would see anytime you might see the subject. Having said all that. The corn (we have a ton of it around Iowa) is normally viewed from the roadway moving at a pretty fast clip. 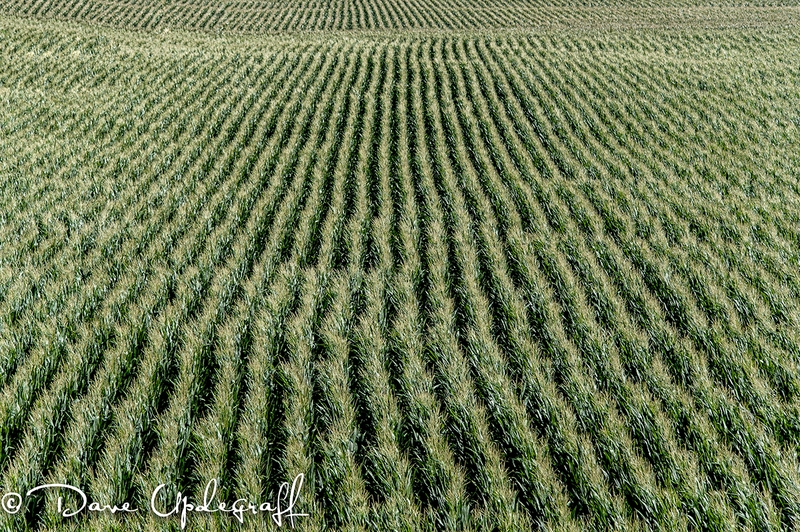 So on this same over pass that I shot the other two images I turned around and saw all this corn from a perspective I normally do not get to see. The (almost) straight lines of the corn was what caught my eye. If nothing else the 365 project is teaching me that images are all around and all I have to do is open my eyes and my mind. Thanks for stopping by. Enjoy your Friday. they are all precious. Be careful. Happy Hump Day. 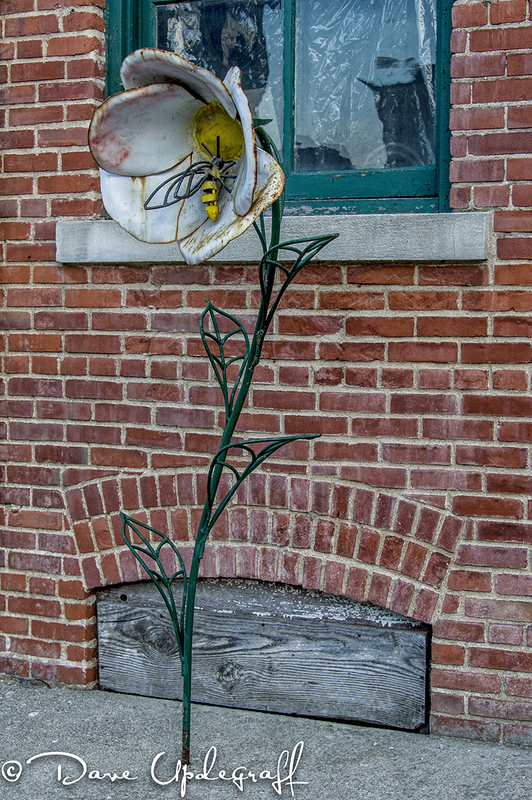 Yesterday after work I went down to the Maquoketa Farmer’s Market to grab some images for the Maquoketa Chamber Newsletter. It was HOT and after I shot some quick images I was glad to get back in the air conditioning of my car. The Jackson County Fair starts today and so as I was leaving I thought I might as well run by the fair grounds to see what was going on and maybe grab a shot for my 365 project. 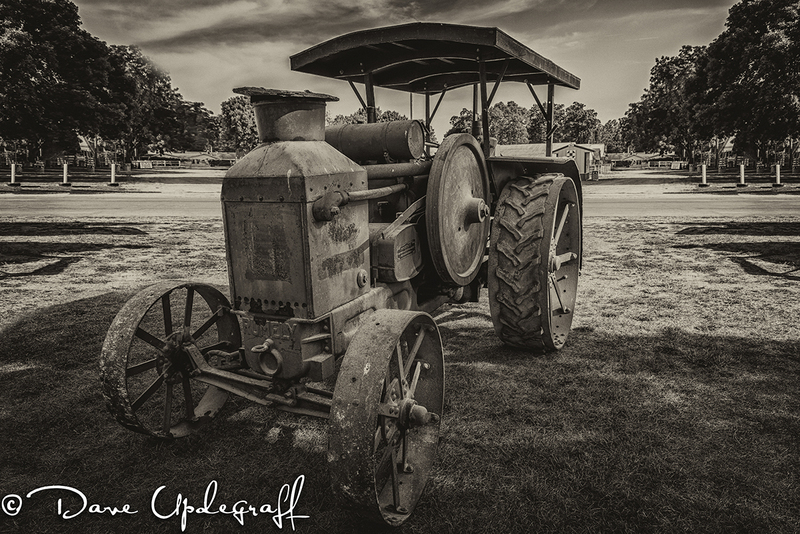 I came in the back way to the fair grounds and the first thing I notice was this wonderful old tractor. I spent the next 45 minutes photographing it and talking to its owner. The owner is Mike Franzen and he is one of the nicest, most friendly people you will ever meet on this planet. I’ve had the good fortune to know Mike and his younger brother for the past 12 years and they are wonderful people. Mike and I visited about the tractor and a lot of other things. He brought a bunch of older tractors for display at the fair. He also introduced me to his Son, Scott Franzen who is an equally nice man. It was a very enjoyable 45 minutes even though it was very HOT. I honestly could have spent another hour with Mike but he was busy helping out others get their stuff set up. That is something he does so much of, helping others. So if you don’t like the technical stuff you can stop reading now but here is the information I found out on the internet about this great old tractor. I think Mike told me his is a 1923 model but I could be wrong about that. 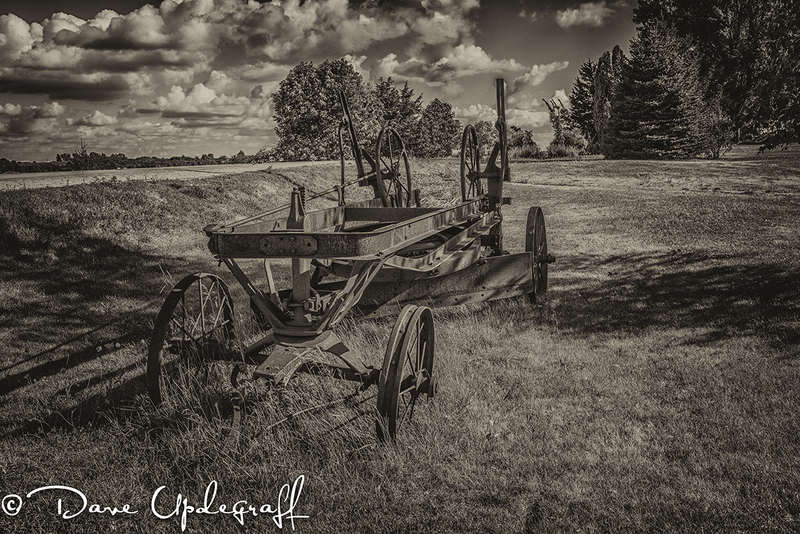 Rumely OilPull’s were a line of tractors built by the Advance-Rumely Thresher company of LaPorte, Indian in the USA. 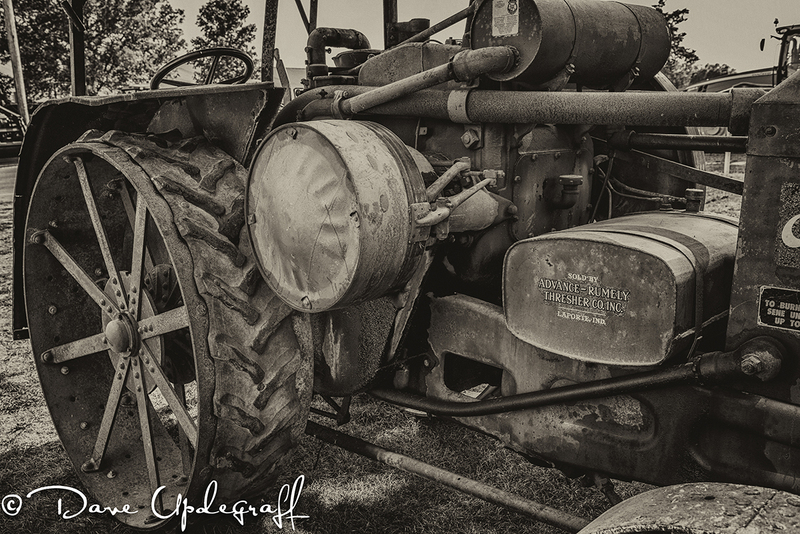 The company introduced its first tractor in 1908 after employing engineer John Secor to work on the engine design for them. The 1st Rumely “OilPull” tractor was tested in 1909 and the machine became known as Kerosene Annie due to its ability to burn this fuel. 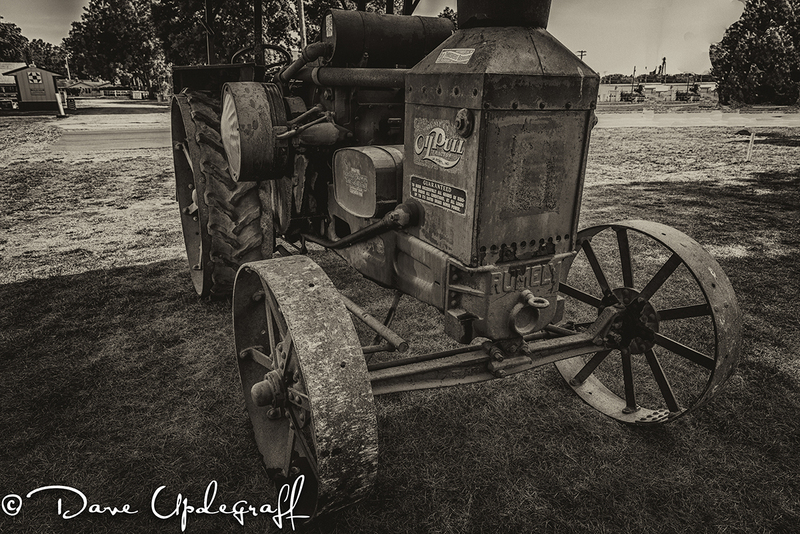 The tractor survives to the present day in the Wisconsin State Agricultural Museum at the Stonefield Historic Site, Cassville, WI. Tractor production began in properly in 1910 and “Kerosene Annie” became the Rumely Model B 25-45 tractor. The engine featured a special carburetor designed by John Secor and W.H. Higgings that injected water to help control the combustion process. The Model B featured a two-cylinder horizontal engine design, with the characteristic cooling tower using oil (not water as other makes do). the engine being a 9.5 inch bore by 12 inch stroke. That’s it for today. Hope you enjoy your Hump Day, it’s going to be a HOT one. Thanks for stopping by and be careful. Good Day. It has been some time since I have posted any images of my camera collection. 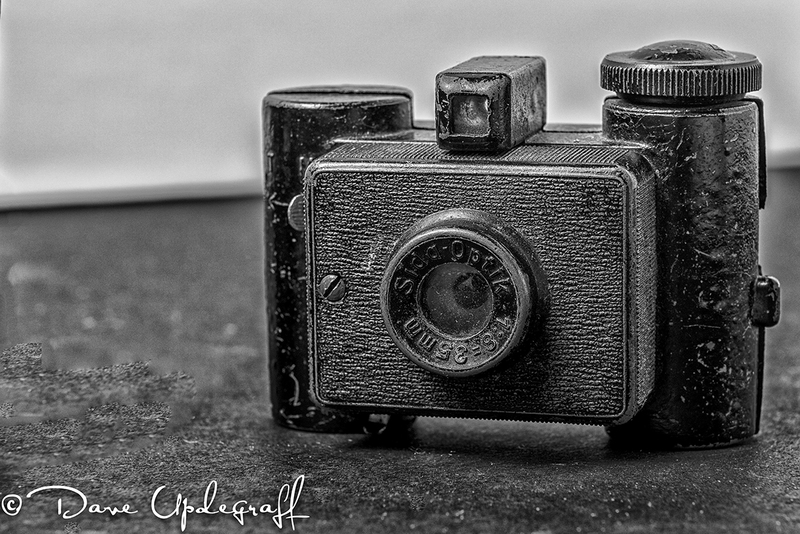 This is one of my favorites and a very special camera to me. It was given to me by my Father-in-Law John Andreae. The only thing I know about it is that he got it during the war while in Germany. John never talked with me personally about his time as a soldier and I never brought the subject up. I do know that for at least part of his service he was in a band that traveled all over Europe and entertained the troops. I did some research on the internet trying to find out more about this little camera. Most of the information that came up from my Google searches related to these little cameras for sale on e-Bay and other auction sites. So this is what I do know. It has been called a “German Spy Camera.” It’s full name is Sida PATENT ann D R W Z 1:8=35mm. 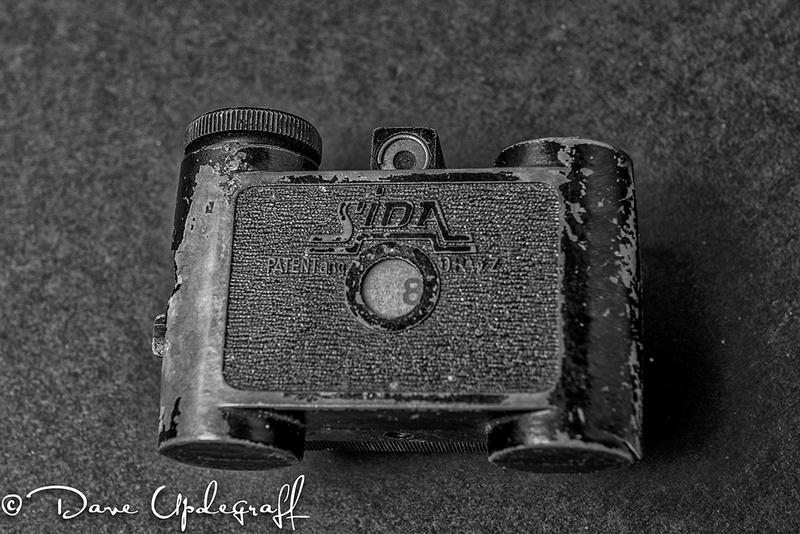 The cast metal 35mm viewfinder camera Sida for shooting 25x25mm images onto paper-backed 35mm “Sida” rollfilm was made in 1936 by Sida Gesellschaft fur photographische Apparate m.b.H., Berlin, Germany. The Sida Extra was a bakelite variant. Especially bakelite variants were also made by “Sida Cameras Ltd.” in London, Great Britain and Guiseppe Pozzoli in Milan, Italy. The camera had a simple single-speed shutter with instant and bulb mode, an f8 meniscus lens, a little optical viewfinder and a red window. The Sida company in Germany was founded by Fitz Kaftanski, but he avoided to be mentioned in official company registration documents since it was 1934 in Germany. He had to be careful because of anti-Jewish German laws of that time. So a manager of Kaftanski’s company Minifex and another companion became the registered chiefs of Sida. 1935 the company was sold. After the war Kaftanski revived the camera Sida as Sidax which was produced in Paris, France. You’ll note on the second image there are 8 images taken on the camera. I have no idea when or where they were taken. I have been tempted several times to see if I could get the film developed but then decided that I would keep it as is. That’s it for today. Another HOT one in store for us. Looks to be that way clear through the weekend. Enjoy your Terrific Tuesday and be careful.